Corporate Communications and Marketing recently had the pleasure of interviewing our BMMI Djibouti USAID Operations team. It was a fun filled session, celebrating the team’s successes. In a true display of team spirit, the group empathized on the importance of teamwork in guaranteeing success. Clearly, they were ecstatic about hitting their targets and the excellent rating received CPAR (Contractor Performance Assessment Report) from the USAID received for the year 2018. A big thank you goes out to Joseph Walker, our business Development Manager who is liaising with the USAID’s DC offices on a daily basis. 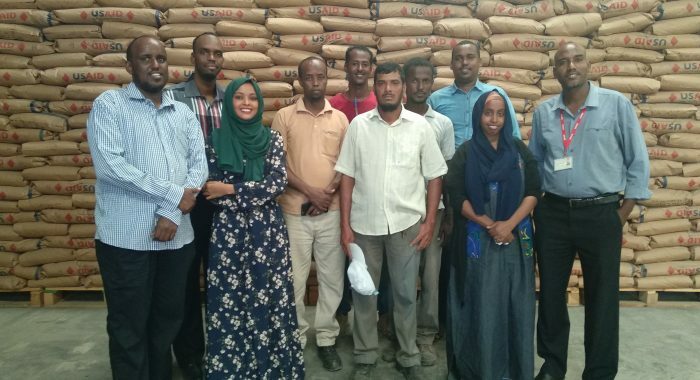 Of course, this success can’t be achieved without the dedication and hard work of Djibouti USAID Team, with a special mention going out to: Operations supervisors Mohammed Houssein Aden and Mohammed Moussa, Operations Coordinator Doubed Abdourahman Moussa, Senior Accountant Abdourahman Mohamed, the warehouse team, Sainudeen, Mohamed Abdi and Fouad Moussa Guedi as well as the Documentation Team, Maleiko Abdi, Oubah Hawa and Rahma Daher.